This playground's centerpiece is a large, wisteria-covered trellis that provides shaded seating. 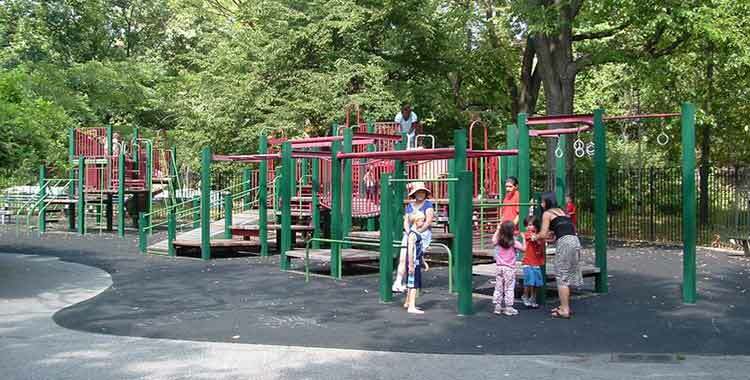 The playground includes a sandbox, bucket and tire swings, and three play structures for climbing and sliding. It has game tables for chess and checkers, which can also be used for picnicking. Three granite posts project an arc of spray for children to run and play through.